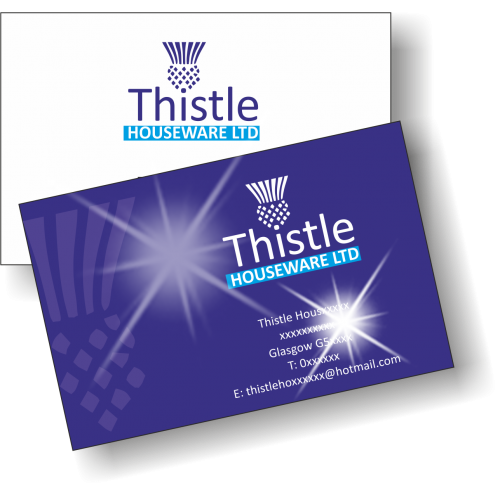 Gloss Laminated Business Cards: Gloss Gloss Finish is ultra-shiny and adds a high silk sheen. It also helps bring out vibrant colours making colours appear rich and punchy. 85 x 55 mm Business Cards Single Sided, or Double Sided (Depending your order) 450gsm Silk, Gloss Lamination.